TRIBUTE has been paid to gamekeepers for their vital role in helping with search and rescue missions on the North York Moors. About two-thirds of Scarborough and Ryedale Mountain Rescue Team calls come from the vast tracts of upland heath. And members say they rely on the expertise of keepers who manage the remote and unforgiving landscapes for grouse shooting. Last year, the busiest in the organisation’s 50 year history, saw 80 call-outs with some rescues running over a number of days on moorland that is difficult to navigate and access. The team’s incident controller, Ian Hugill, said expansive moors with few identifiable features or landmarks made rescues difficult on many fronts – but harnessing gamekeepers’ unique knowledge and understanding was invaluable. “They are our eyes and ears and often the last to have seen those who go missing,” he said. “Their all-terrain vehicles help get us on to the moors and can take casualties to the roadside. We frequently ask for help in opening private gates for our 4×4 ambulance. “Lack of buildings and shelter on the moors result in hypothermic casualties. It’s not just the injured, but those who have stayed with them that need our assistance. 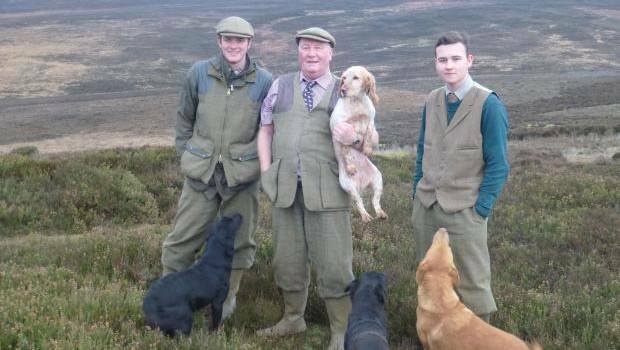 Owner of Spaunton Moor in North Yorkshire, George Winn-Darley, said he was delighted his gamekeepers were able to play such an important role. “We are acutely aware of our pivotal role and are very proud to help,” he said. Moorland keepers from left Anthony Orr, George Thompson and Bradley Collis on Spaunton Moor.